Peppy Pups Mutt Just $24.99! Down From $30! You are here: Home / Great Deals / Amazon Deals / Peppy Pups Mutt Just $24.99! Down From $30! Amazon has this Peppy Pups Mutt on sale for just $24.99 down from $29.99 PLUS FREE shipping with Amazon Prime or for orders over $25! Peppy Pups is the soft and cuddly friend your child has been looking for, without the responsibility or commitment of a regular puppy! This Walking dog toy has pep and bounce in his step wherever your child decides to walk him, making him a lively, enthusiastic companion. Let your little one use the leash so he can walk-along in the park, on the sidewalk, or even in the house. With a snuggly coat, peppy pup will be easy to love and cuddle, just like a real puppy. This little stuffed toy features a cheerful facial expression. Peppy pup will be your child’s best friend. 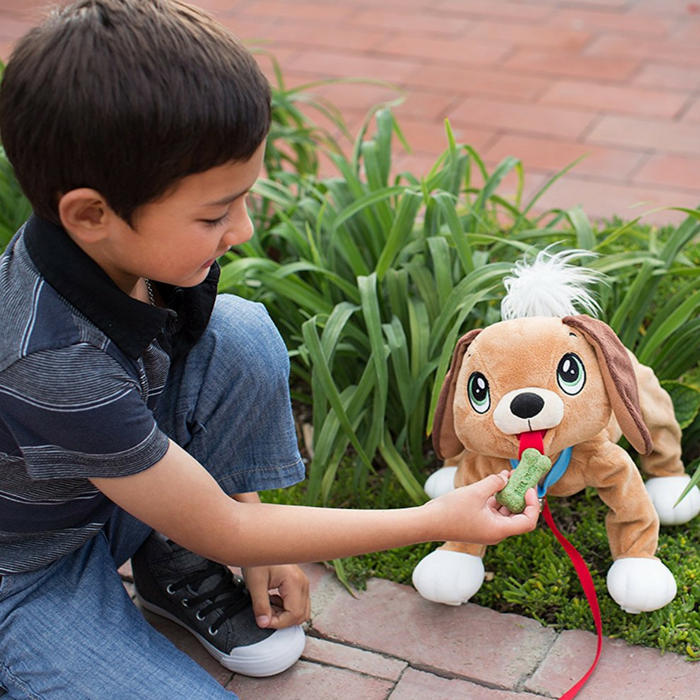 Each Peppy pup has real dog action: interacts, walks and runs with children, just like a real dog.